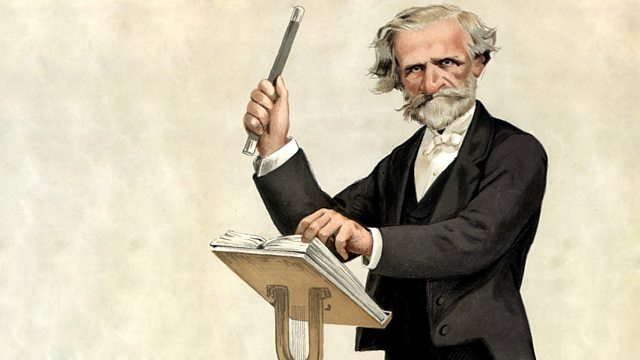 Donald Macleod introduces highlights from two Shakespearean operas: Verdi's finest tragic opera, and his only comedy, based on Shakespeare's absurd fictional character Falstaf. After Aida was performed in 1871, there was a gap of sixteen years before Verdi's penultimate opera found its way to the stage. He'd been lured back by the temptation of a new Shakespearean work - Otello. Donald Macleod introduces highlights from the work regarded by many as Verdi's finest tragic opera, and he takes a look at Verdi's final contribution to the stage, based on Shakespeare's comic fictional character - Falstaff.